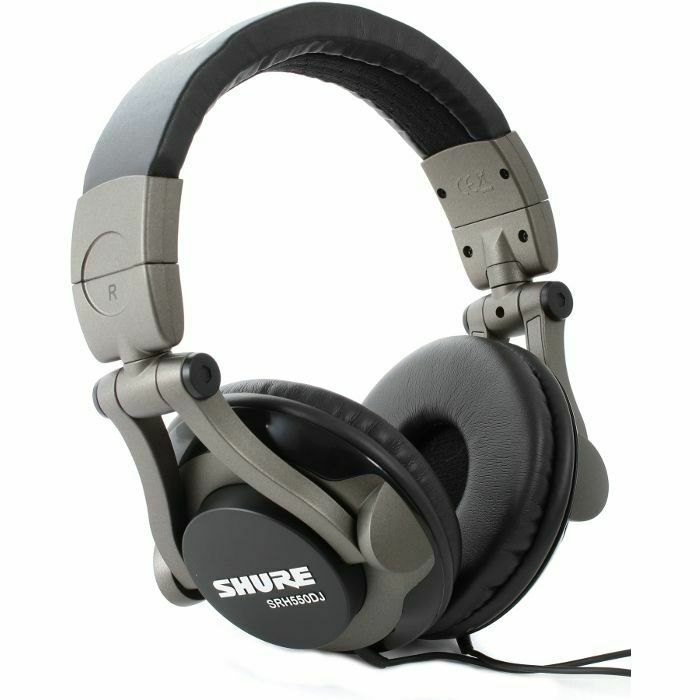 SHURE Shure SRH550 DJ Headphones (black) vinyl at Juno Records. 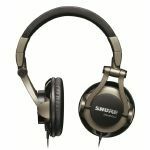 The Shure SRH550DJ offers a full sound with extended bass. It is ideal for DJs and listeners of bass-heavy music. The 50mm drivers deliver a clear and distortion free bass. 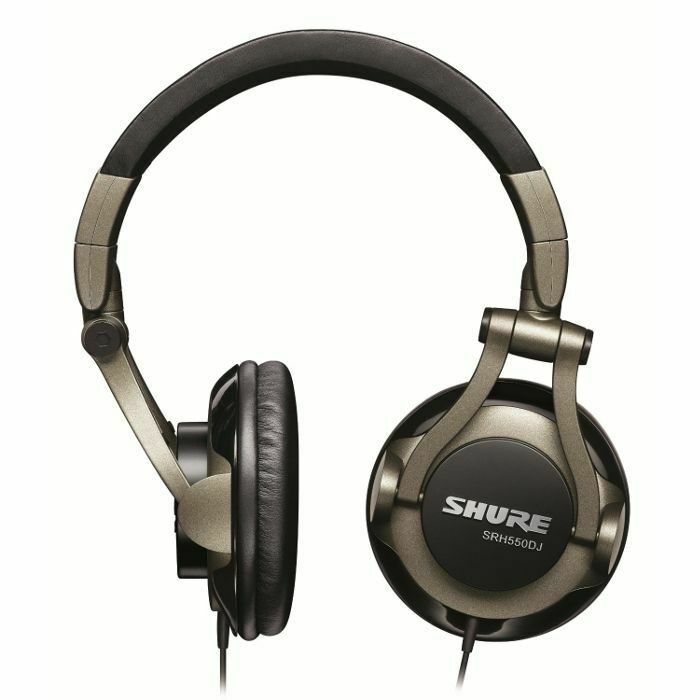 High output also means the Shure SRH550DJ headphones are perfectly suited to ipods and other mobile music devices. 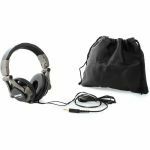 The on-the-ear and closed back design reduces ambient noise, even in loud environments. 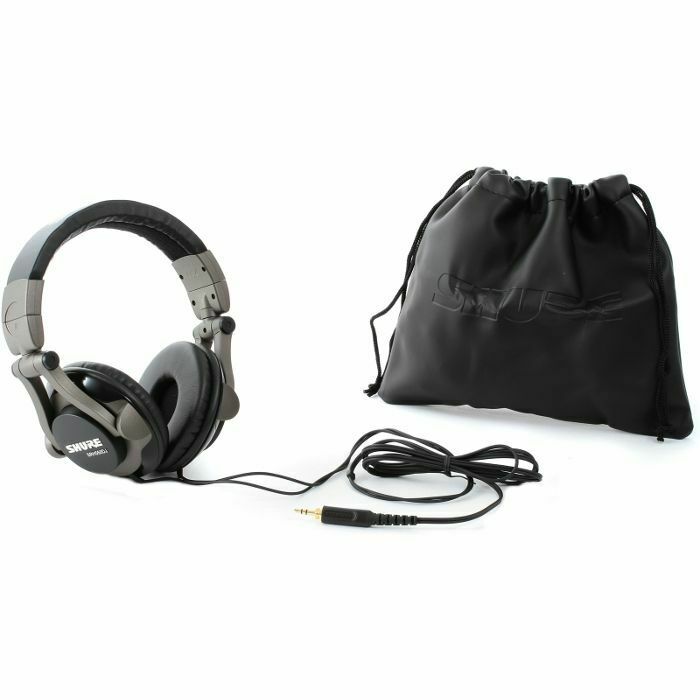 Comfortable, padded ear cups swivel 90 degrees and allow easy placement on one ear when mixing. The collapsible design allows for easy storage and transport. A padded headband and on-the-ear earpads offer comfort over longer wearing periods.